Applications are now being accepted for the 4th Kim-in Cup International Senior Baduk Competition. The tournament is being held November 5-8 in GangJin City, Korea and is open to male go players 50 and older and female players 30 and older. 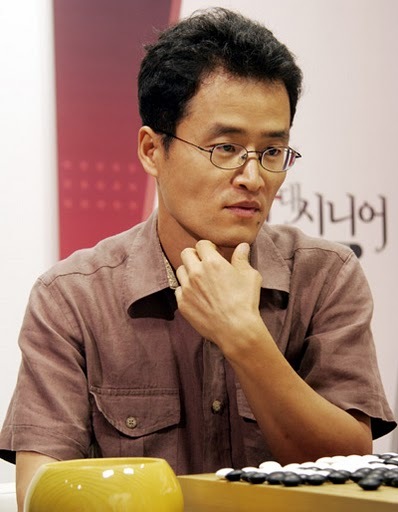 It’s sponsored by the Korea Baduk Association and the Korea Amateur Baduk Association; KBA provides hotel, meals and domestic transportation for all players, who must cover their own travel costs to Korea. email iris@baduk.or.kr for details and to register. There’s theory and there’s practice. In go, practice means studying problems. Kiseido is five volumes into an ambitious seven-volume series of problem books for dan-level players originally published in Japanese by the Japan Go Association. 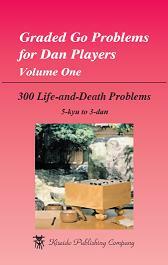 Now available: Graded Go Problems for Dan Players; 300 Life-and-Death Problems, 5-kyu to 3-dan; 300 Tesuji Problems, 5-kyu to 3-dan; 300 Joseki Problems, 1-dan to 3-dan; 256 Opening and Middle Game Problems, 1-dan to 7-dan. These problems are designed to develop your intuition and to provide exercises for developing your ability to analyze positions deeply and accurately. “These are not problems that you can skim through in a couple of days,” Kiseido warns. “Each problem requires serious thought to obtain the maximum benefit.” Click here for details and to order. Peter Shotwell, author of Go! More Than a Game, has published two articles based on subjects in the upcoming update of his book to the AGA’s Bob High library. 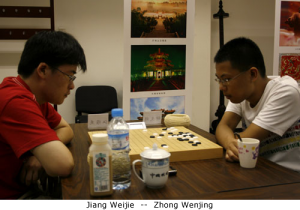 The first [PDF] is a look at his re-dating and re-interpretation of early Confucian thoughts on go, and the second article [PDF] covers some research done on the statistical properties of go games by Dr. John Tromp. 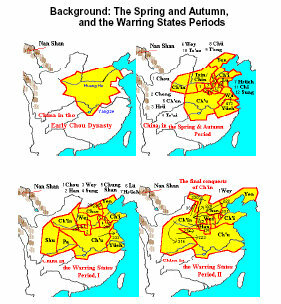 Traditionally, the Confucian ideas about go have been thought to be quite negative, but Shotwell took account of the fact they were actually written in a small area in northeastern China over a period of only about 50 years in the late 3rd to early 2nd centuries B.C.E, (instead of the usually-thought “hundreds of years”). When the full contexts were looked at, he found that the writers were clearly using go only to aid their comments on their evolving attitudes about filial piety, and that the only aspect of the game they disapproved of was fanatical play to the detriment of moral duties. The last Confucian go writing appeared c. 260 B.C.E. and it was only 120 years later, after the Warring States period had ended and peace was restored, that writings with high praise for go (indicating a great increase in skill) appeared and the earliest game board was found. The second article, which includes an interview of Dr. Tromp, notes his incredible figures for the longest possible go game (longer than the universe might last), compares the vast numbers of possible positions for chess and go (like comparing the nucleus of an atom to the size of the universe), and the total number of possible games (for example, there are 386+ billion for 2×2 boards). Shotwell gave a presentation at the recent U.S. Go Congress looking at both of these topics and some others that will appear in the update to his book. 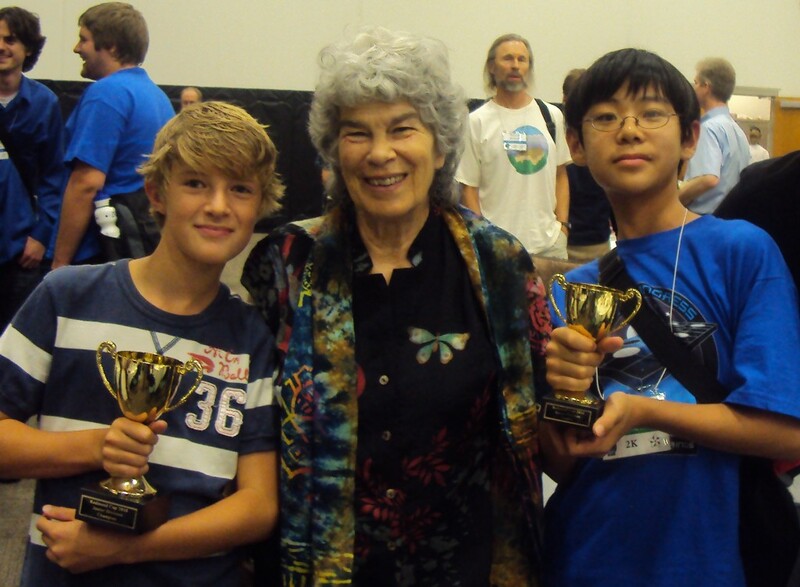 Samuel Gross 1d and April Ye 3k each won four games to lead the pack at the Bay Area Go monthly ratings tournament on August 14 in Palo Alto, CA. The playing field consisted of 35 players ranging from 5 dan to 30 kyu. Everyone got to play an average of three rated games, although some managed to fit in as many as five. For many, the monthly tournaments offer an opportunity to come out and play face to face go with players of similar strength. “Face to face go can be so much more social, fun, and rewarding than playing online,” observes tournament organizer Roger Schrag. Next month’s ratings tournament is scheduled for September 11, again in Palo Alto. Click here for more photos. 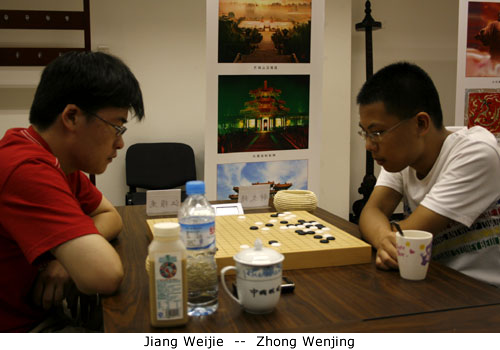 Jiang Weijie & Li Zhe Advance to Mingren tournament finals. Jiang Weije and Li Zhe will battle it out in the 23rd Mingren challenger decision match for the right to face Gu Li 9P. Jiang Weijie 5P defeated Zhong Wenjing 5P by resignation and Li Zhe 6P defeated Chang Hao 9P by resignation. 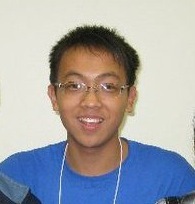 Of the 32 players in the tournament, only five were 9-dan pros, with only Hao surviving to the semifinals. (more info and game records) Cho U Defeats Hane Naoki in NEC Cup Second Round. Cho U 9P defeated Hane Naoki 9P by 4.5 points in the second round of the 30th NEC Cup tournament. Cho U will face the winner of the second round match between So Yokoku 8P and Kono Rin 9P, the defending NEC Cup title holder. The remaining second round matches are between Iyama Yuta 9P and O Meien 9P (scheduled for August 19th) and Yuki Satoshi 9P and Yamashita Keigo 9P. An Kukhyun Forces Playoff in Myeongin. By virtue of defeating Kang Dongyun 9P in the Myeongin A league, An Kukhyun 2P has put himself into position for a playoff against the winner of the August 19 match between Lee Changho 9P and Lee Sedol 9P. Changho and Sedol are both 2-2, so Kukhyun’s 3-2 record forces the playoff to continue into the main tournament. Kukhyun is a relatively new 18 year-old Korean pro and defeating either Changho or Sedol would be a major boost for his standings.